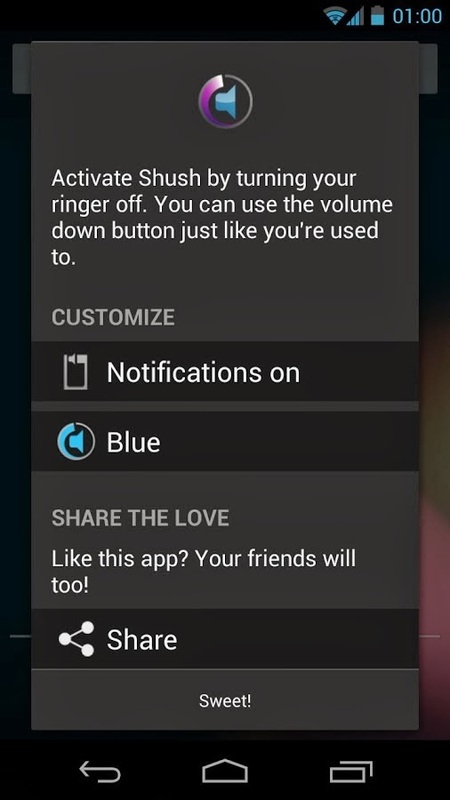 When you turn your ringer off for a movie, this app turns it back on afterwards.It's activated when you silence your ringer using the volume buttons. You don't need to remember a special app! 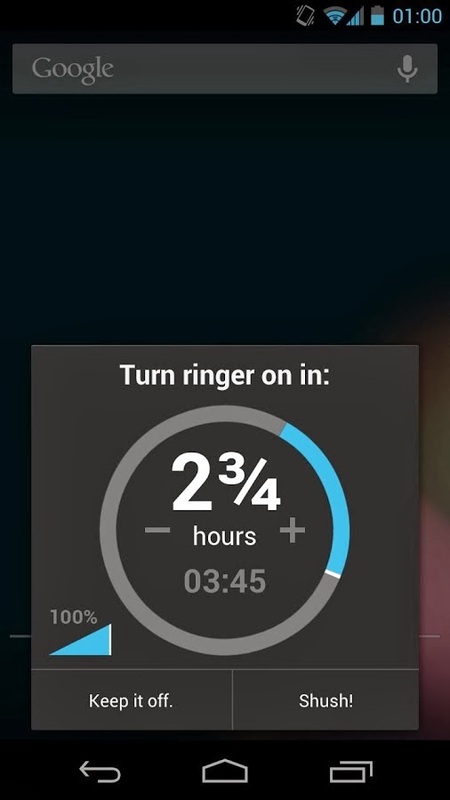 Once your ringer is off, it asks you how long to stay silent. Never miss another important call. Great for class, the office, movies and sleep. 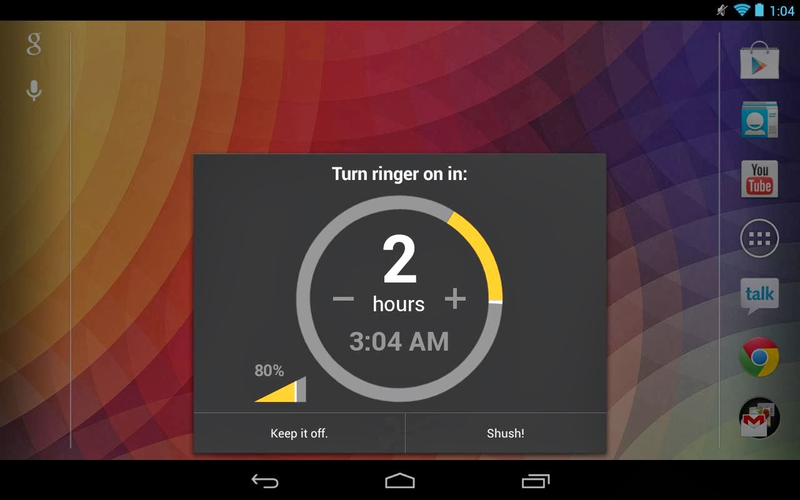 • If Shush doesn't pop up automatically, try launching it manually first. • LG Optimus can't Shush on Gingerbread due to a bug in LG's software. Developers can't respond to user reviews. Please use email to report bugs!